We saw Tim Burton’s Alice in Wonderland when it came out a few months ago and really enjoyed it. 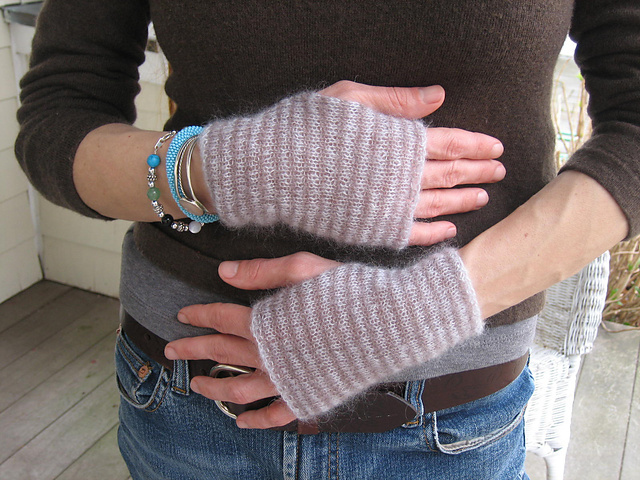 But, being the knitting uber-geek that I am, I couldn’t help but notice the beautiful, delicate wristlets Alice wore. 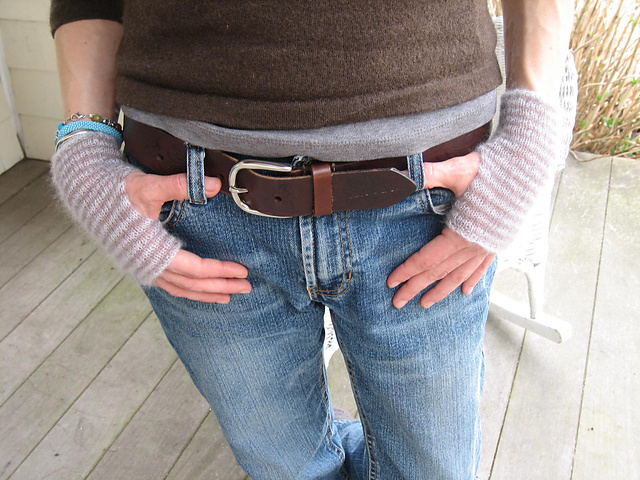 So when I got home I went to straight to Ravelry and downloaded a pattern from Tiny Owl Knits (love her!). I made three pairs, they were so quick and easy (one for me, one for Peep #2, and one for her friend). It’s also the first time I have bought the actual yarn that the pattern calls for! It’s really gorgeous yarn… light and ethereal, like knitting with spider webs. I purchased a few more color combos and plan to make some more for gifts… everyone who sees them wants a pair!